This week: This time, I like to discuss how the main game mechanic of „Papers, please“ is challenging the concentration ability of a player. Furthermore, I like to propose the assumption that playing „Papers, please“ will train the player’s concentration ability. „Papers, please„, developed by Lucas Pope, is an indie game that puts the player into the role as an employee of the Ministry of Admission of the fictive country Arstotzka, who’s duties are to check the documents of entrants at a border checkpoint. The player needs to make sure that every document is valid before an „Approved“ stamp is applied to the entrant’s passport. In order to fulfill the duties, the border checkpoint is equipped with a rule book that explains all the requirements for valid documents. Apart from the daily business of checking documents, the player is sometimes faced with moral issues, when entrants with a special background story try to enter the country. At this point, it’s up to the player whether he likes to help people out or to stick to the rules and deny the entrant. From my „learning by gaming“ point of view, the most interesting fact about this game comes from the procedure of checking documents. Every entrant hands over several documents the player has to check before the finale dicision is made. Each document provides different information about the entrant and the player needs to check if these information are valid. As an example, the passport of an entrant provides the player with the following information: picture, date of birth, gender, city, expiration date and passport number. After receiving the document, the player has to check if all the information do apply to the entrant. Sometimes, the player even has to cross-reference information over different documents. The game mechanic of checking documents challenges the concentration ability of the player. The player has to pay attention to every single line of each document and has to make sure that the information presented is valid. This task gets more and more complicated over time, because the player will receive sometimes more than four different documents at once. Additionally, the player works against the time, because each day at the border checkpoint has a certain length and the player gets paid for the amount of checked entrants. In this case, the player also feels the need of checking the documents as fast as possible to get enough money at the end of the day to keep the own family alive. This time constraint however influences the player’s concentration and thus is making the player vulnerable to mistakes. As a conclusion of this blog post, I like to propose the assumption that playing „Papers, please“ will train the concentration ability of a player. In order to score well, the player is encouraged to focus on the given information about an entrant. Moreover, the player starts to develop the awareness for anomalies and differences between the rules and/or the different documents. In the end, this concentration ability can help the players in other parts of their life, when they need to process new information within a short amount of time. 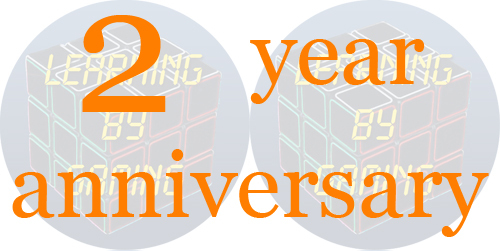 This week: This time, it’s time to celebrate the two year anniversary of Learning by Gaming and the one year anniversary of my weekly article series „Finding of the week“. 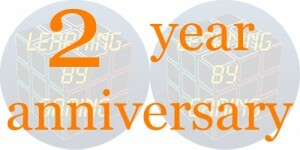 About one week ago on March 12th was the second anniversary of Learning by Gaming. Unbelieveable, that it’s been already two years since I launched my personnal science and research website. So many things happened during this time. On the one hand, I experienced the process of writing and publishing a paper. It started with the first concept of it and ended with a short presentation on a conference. Additionally, I was able to make some progress and developed a concept for a research project over the second half of the passed last year. Currently, this research project is on a good way to be realized. A first prototype exists already and the project attracted two students, who like to design and program it as their bachelor thesis. Finally, the last year was also the first year of my weekly „Finding of the week“ article series. Today’s article is also about the celebration of the first anniversary of the Fotw series, because the first article was published on March 23rd. This means nothing else than that there was one short article released per week about a certain gaming related topic. I can’t believe, that it’s been already a year since I started writing those articles. In celebration of these two anniversaries, I like to go back a bit in time and share with you maybe one of the key moments, that really started my interest in the research of computer games with a special focus on the social and educational aspects. It was around the release of Diablo 2 and my first attempts of playing this game online. The most interesting thing for me around this time was the chance of getting in contact with people from all over the world. Players could open up game sessions and if these games weren’t protected by a password, everyone could join these sessions and play together with all the other players in this particular game. Moreover, there was no real separation between countries–players could join games independently from their origin. Naturally, this often caused some issues due to the language barriers between the players. However, as long as everyone was writing in English, it was possible to play together with people from all over the world. During these early days, I ended up playing one sunday morning together with a player from Spain. We began to chitchat a bit, exchanged later on our e-mail adresses and finally we became penpals. Unfortunately, this lasted only a few weeks, but it was a very interesting experience to become a penpal with someone from another country just by playing a computer game. In today’s gaming community with World of Warcraft and other MMORPGs available, it’s nothing special anymore to become friends with other players. However, back in these days, it was completely new to me. The above described experience was mostly so special to me, because it was the first time that I really stayed in contact with a player from a different country. However, there were a lot of other contacts and friendships I’ve made during this time and to some degree, it was a feeling of being connected to players from all over the world by just playing one game. Since these early experiences with Diablo 2, I came to the result, that games can do so much more than just entertain us. Now, about 14 years later, I’m hopefully able to proof some of these initial thoughts in my profession as a Ph.D student. This week: This time, I like to discuss one of the biggest problems for serious games. These games are targeting the learners of a specific topic, who might not have a gaming background and thus need to understand the game controls and the new knowledge at the same time. In general, computer games are developed for people who are interested in playing games and who like to be entertained by games. However, there’re also computer games with a more serious background. Although these games are still computer games, their main purpose is mostly to educate or train the players. These games can be still entertaining, but the entertainment isn’t the main focus of these kind of games. Games with such an educational purpose are called serious games. In contrast to regular computer games, serious games aren’t targeting only experienced computer game players but also learners without a gaming background. Computer game players are used to control their actions in the game with the computer peripherals. Movement in a game is often requiring inputs over the keyboard whereas the view of the player is often changed by mouse movements. The combination of both devices allows the player to walk and look around in a virtual environment. Over time, this control scheme becomes natural to the player as walking around in the real world. Computer game players aren’t distracted by figuring out how to move from A to B and thus are able to focus on the action in the virtual world. Non-gaming learners don’t have this background. They might be used to operate a computer during their regular office work or to search for new information on the internet. However, they aren’t used to explore a virtual three dimensional room using their regular input devices. These new gamers are more challenged by wrapping their head around the movement controls than on focussing on the training task offered in the game. Finally, these new gamers would have to achieve two learning goals at once: learning to control their actions in the game and understanding the presented knowledge. Regular computer games often try to help new gamers by offering some tutorial missions. During these early missions, the new players is often accompanied by a non-player character (NPC) who explains the basics of the game. Moreover, the NPC also gives hints which key is used to perform a certain action. Such a tutorial mission could be also helpful for new players of a serious game to introduce them to the keybindings of the game. Unfortunately, tutorial missions don’t really help to understand the general relationship between the control interfaces and the actions going on on the screen. Completely new computer game users need to develop the general understanding that they’ve a „presence“ in the virtual world and thus that they can interact with it. This problem isn’t really easy to solve. The serious game could also offer some kind of „sandbox mode“ which allows new gamers to gain more experience in moving in a virtual world. However, the main issue still remains: the new unexperienced game-learner needs to achieve a general understanding about the own virtual presence in a game. Only after this understanding is achieved, the new game-learner will be able to focus on the presented learning goals. Thank you for being so kind and helpful! This week: This time, I like to discuss the observations made by a game development studio after the selling period of a Humble Bundle package was finished. During this week, I received the link to this blogpost during a Skype conversation. The post is from a game development studio and is describing the outcome of a two week Humble Bundle selling period of one of their games: Monaco. The most interesting observation comes from the fact that the amount of sold copies of the game hasn’t changed on Steam–one of the game’s main distribution platforms–during the period of the Humble Bundle. This surprising result leads to several possible assumptions. First of all, participating in a Humble Bundle does increase the revenue during the selling period of the Humble Bundle. The general sale of the game seems to be unaffected by the great offer and thus all the sold Humble Bundle copies are a huge plus to the general revenue of the game studio. Additionally, the awareness about the Humble Bundle packages seems to be not as widespread as the Steam Shop. The blogpost already guesses that every consumer tends to stick to the favorite game store. However, the price of the Humble Bundle was completely up to the consumer whereas the Steam price is fixed. In this case, the consumer would have saved a lot of money by buying the Humble Bundle. This finally leads to the aforementioned assumption that all the buyers on Steam weren’t aware of the Humble Bundle sale. Unfortunately, the sales of the Humble Bundle don’t reveal the reason why the consumer has bought the package. A Humble Bundle package includes several games and thus it’s not completely obvious which of the games has caught the interest of the buyer. However, Monaco was only included in the package, if the consumer has paid more than the avarage buyer. In this case, the consumer seems to have wanted to buy this particular game. On the other side, Monaco wasn’t the only „pay more than the average game“, so it’s still impossible to find out, if the consumer really wanted to buy Monaco. This could also explain the fact that the amount of sold copies on Steam was unaffected by the Humble Bundle: Steam buyers really wanted to have this game, whereas the Humble Bundle consumers might have noticed the game only through this special offer. Moreover, it could be possible that these consumers weren’t sure if they really like the game and that the special Humble Bundle offer just convinced them to give it a try. Under the bottom line, getting the own game into a Humble Bundle package can increase the revenue over the selling period. The Humble Bundle sale can offer the game to a completely different consumer base, who haven’t heard about the game before or weren’t sure if they like the game. This week: This time, I like to present you another space simulation: Space Engine. A simulation that allows the user to explore the vastness of our universe in a beautiful three dimensional environment. As I began to write this week’s article, I recognized that I’m currently writing on my 50th episode of „Finding of the week“. Every time I start writing a new entry, I’ve the feeling that I’ve just started with this idea of producing a short post per week. Unbelievable that I’m almost doing this for a complete year now! 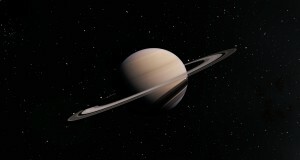 One of the most used examples of my articles are space related simulations. Moreover, I presented several different games with the goal of simulating a topic related to space exploration. I like to continue this tradition and present you another space simulation: Space Engine (SE). SE allows the user to explore our universe in a three dimensional environment. The simulation takes adventage of real world data to simulate known regions of our universe as accurate as possible. Additionally, SE provides the user with the most important facts about a celestial body like its gravity, rotation period and orbital period. Moreover, the user can display the paths of objects to visualize their trajectories. Apart from a three dimensional representation and a real world data based simulation of celestial bodies, SE takes advantage of real world images and uses these images to create the surface of the celestial bodies. Finally, I like to highlight the beautiful graphic engine of SE which allows the user to enjoy lens flares, solar eclipses, auroras, shadows of planetary rings etc. The user itself can move through our universe without any constraints. It’s possible to search for objects and visit them or just to fly through the vastness of space. The user even can land on the celestial bodies and enjoy the view into space from their surfaces. This also allows the user to land on our Earth and search for constellations like the Big Dipper or to land on the Moon and take a look at our Earth as the Apollo astronauts did. Moreover, the user is not just in control of the own movement and position: the user can also control the time and thus can experience a look in the past and the future. Additionally, the user can accelerate or decelerate the time speed and thus follow the orbit of a planet or the trajectory of an astroid through our solar system. SE is currently in beta status and developed by Vladimir Romanyuk.